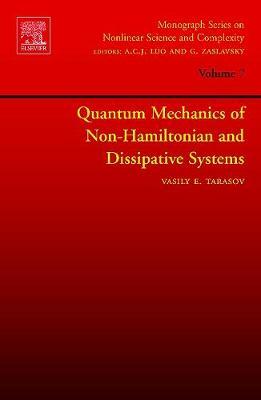 Quantum Mechanics of Non-Hamiltonian and Dissipative Systems is self-contained and can be used by students without a previous course in modern mathematics and physics. The book describes the modern structure of the theory, and covers the fundamental results of last 15 years. The book has been recommended by Russian Ministry of Education as the textbook for graduate students and has been used for graduate student lectures from 1998 to 2006.